Give your home an added curb appeal with a beautifully manicured lawn courtesy of Mills Services. Your lawn is often the first thing people see when they visit or drive by, and when it looks great, it improves the look of your entire property. At Mills Services, we understand you don't always have the time to properly maintain your lawn, so let us do the hard work for you. All you have to do is sit back, relax, and enjoy the view. Whether you need simple mowing or your lawn fertilized, we have the experience and skills to make your residential or commercial property look its best. Choose from weekly, bi-weekly, and monthly packages, as well as one-time deals. When you have a beautiful lawn, you want a landscape to match. Read on to learn more about our professional landscaping services. Let us take your tired, old yard and turn it into something magnificent with our team of creative landscape designers. Tell us your ideas and we'll work with you to create an environment that suits your personal tastes. Whether you have a residential or commercial property, you can always count on our design team to deliver an attractive and desirable landscape. From the planning stages right through the design execution, you're kept informed and involved every step of the way as your outdoor living space comes to life. 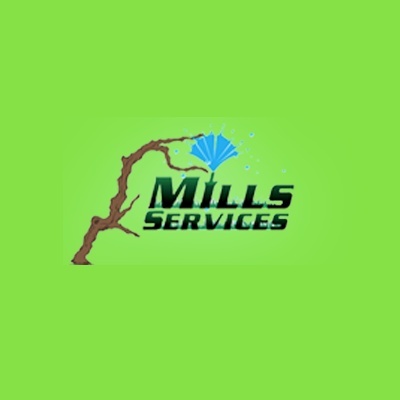 Turn to Mills Services for work inside your property, as well as outside. When insects and pests are found all around, simple store-bought traps and bug spray just won't do. Instead, you need the help of the pros at Mills Services. Wave goodbye to those unwelcome guests and say hello to a home or business free of pests. Mice, rats, and other pests can cause extreme damage to your property, so don't trust their removal to just anyone. Our expert pest control specialists will have them gone in no time.